The Kirk family are recorded in the 1901 census as living in Crossford Lower townland, 3km NW of the village of Ardmore. There were ten in the family in that year plus one servant. The parents, John & Ellen, were originally from Co. Cork and had half their family born in Cork and the rest in Waterford. Callaghan Kirk was 9 in 1901 and he subsequently emigrated to Tacoma, Washington in March 1913. 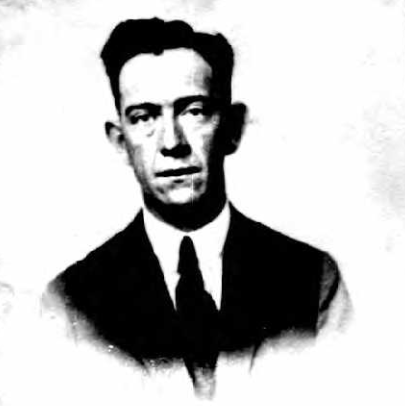 He worked in Tacoma as a carpenter and subsequently applied for a passport in 1924. The Kirks were no longer in Crossford in 1911 but had mostly moved (back?) to Ballyvergan West outside Youghal. Perhaps a relocation of 14 km or so, nothing compared to the 7,500 km travelled by Callaghan in 1913. What are the chances Ellen's surname was Callaghan? Ann Smiddy tells us that Bridget Kirk married Maurice Colbert of Crossford so they are still in the parish. "If you wanted a pork chop you had to go to the pork shop".